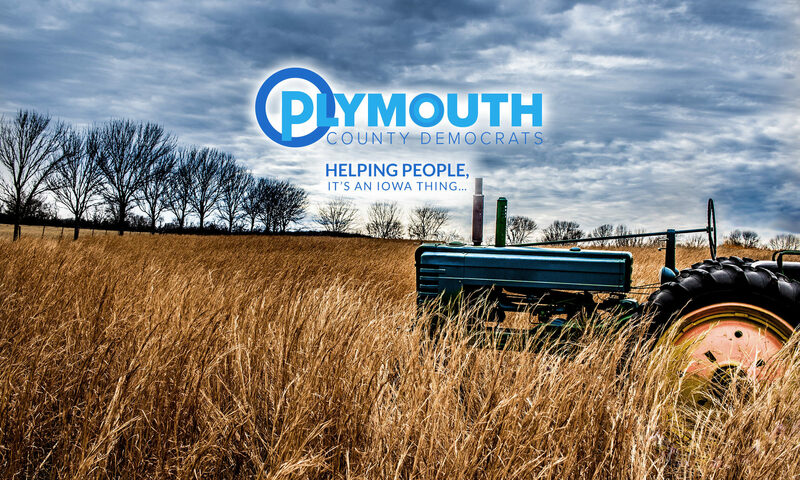 The Plymouth County Democrats will be holding their regular monthly County Central Committee meeting at 6:30 p.m. on Monday, January 15, 2018, at Lally’s Eastside Restaurant, 125 Plymouth Street NE, Le Mars, Iowa. The Plymouth County Democrats will be holding their regular monthly County Central Committee meeting at 6:30 p.m. on Monday, December 18, 2017, at Lally’s Eastside Restaurant, 125 Plymouth Street NE, Le Mars, Iowa. Members of the Democratic Party from both Woodbury and Plymouth County voted to unanimously nominate Dr. Todd Wendt of LeMars as their candidate for the special election to be held on December 12, 2017. Todd was born and raised in Sioux City and has spent the past 17 years as superintendent of schools in LeMars. During his time as superintendent he was very active in following the state legislature. Todd is the son of late State Representative Roger Wendt. After working with students, parents, employees, board members, and communities the past 34 years, Todd is ready to take his commitment to working for others to another level. He wants to work at the policy level to restore the legislative commitment to providing a quality public education for all, implementing responsible fiscal and tax policy, protecting the rights of individuals, and working together on Iowa’s priorities. The Plymouth County Democrats will be holding their regular monthly County Central Committee meeting at 6:30 p.m. on Monday, October 16, 2017, at Lally’s Eastside Restaurant, 125 Plymouth Street NE, Le Mars, Iowa. The Plymouth County Democrats will be holding their regular monthly County Central Committee meeting at 6:30 p.m. on Monday, August 21, 2017, at Lally’s Eastside Restaurant, 125 Plymouth Street NE, Le Mars, Iowa. All interested Democrats are invited to attend. Come an hour early to eat with the group. The Plymouth County Democrats will be holding their regular monthly County Central Committee meeting at 6:30 p.m. on Monday, July 17, 2017, at Lally’s Eastside Restaurant, 125 Plymouth Street NE, Le Mars, Iowa. All interested Democrats are invited to attend. Come at 5:30 p.m. if you want to eat with some of your fellow Plymouth County Democrats.